I know, I know. Long time no see. My excuse? Hungry. Let’s be fair you feel as though this city closes down during the month of Ramadan, particularly in July (we reached a lovely 50 degrees!). I find it weird how you call someone at 3 pm and they’re asleep. Yes, people sleep during the day and stay awake all night–of course the exceptions are people like myself. They call us mrishk*. 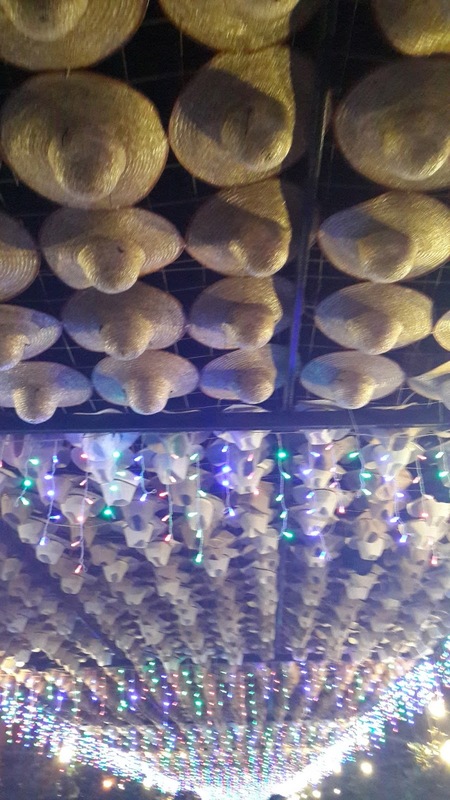 This reminds me I should write about nightlife in Erbil. I promise I will. 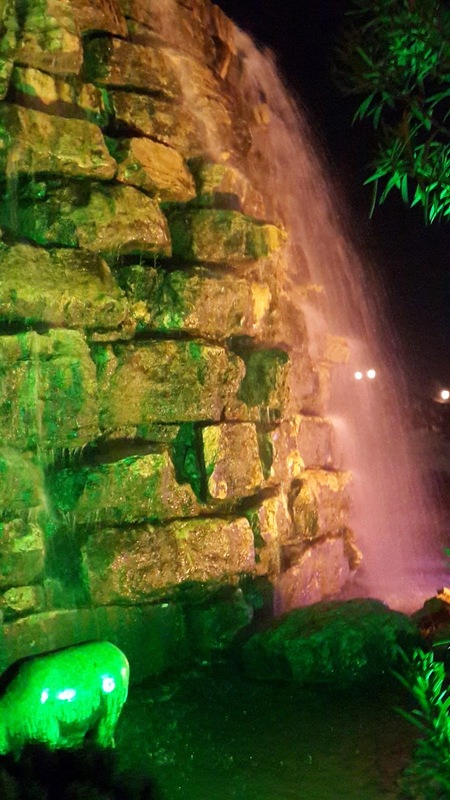 Are you asking what to do and where to go in Erbil? 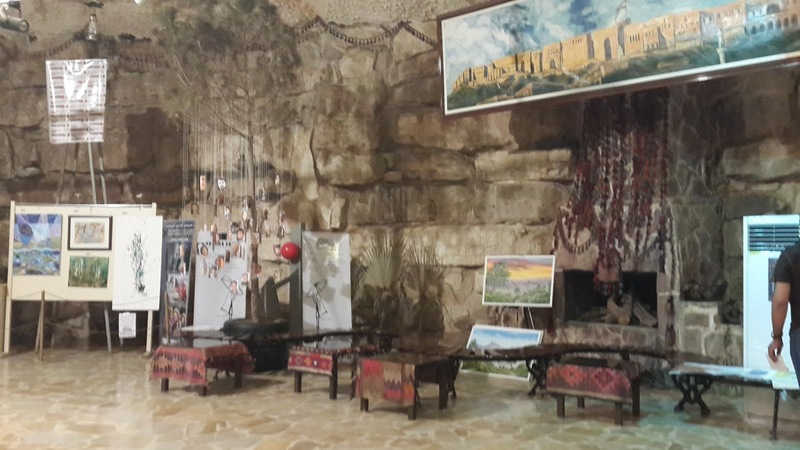 A few days ago I took some relatives to Shanadar Park, and I must admit one of my favorite places is definitely the Shanadar Cave. If you haven’t been… GO!! Now. Tonight. Location: Opposite the Ice Skating, you can go there from the 30 Meter or the 60 Meter avenue. Right opposite Minaret Park. 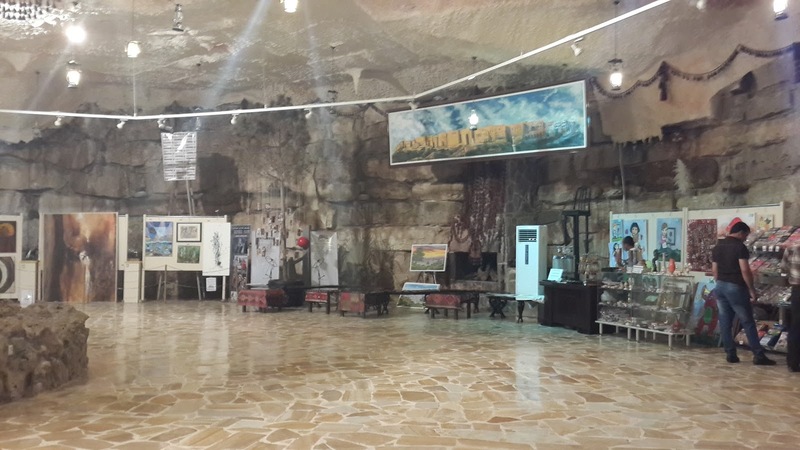 The Shanadar Cave is in the Zagros Mountains, however, a ‘fake’ version is in the heart of Hawler (Erbil) the beauty of the cave in Erbil is that the inside is turned into a gallery, almost like a tourist-souvenir place. 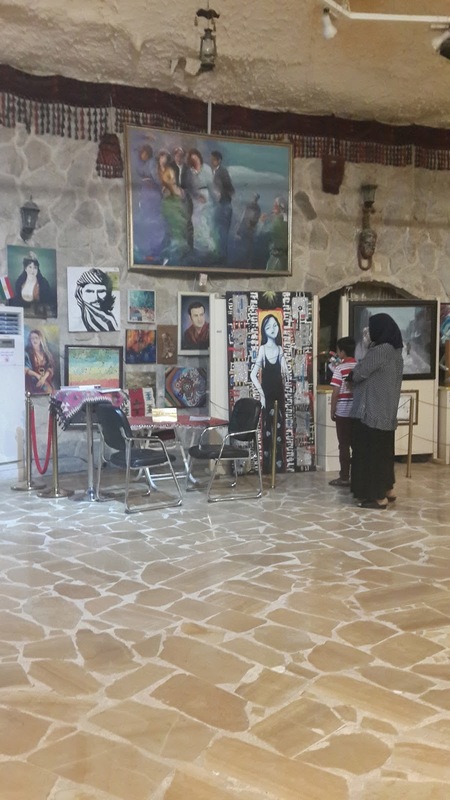 I love it, because it supports local artists and it becomes a place for their art work to be seen and purchased. 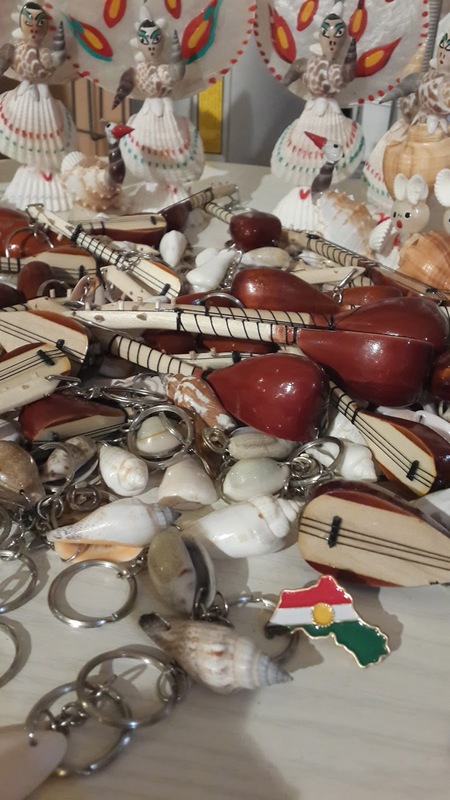 You can get post cards, little bits and pieces with the Kurdish flag, key rings etc. 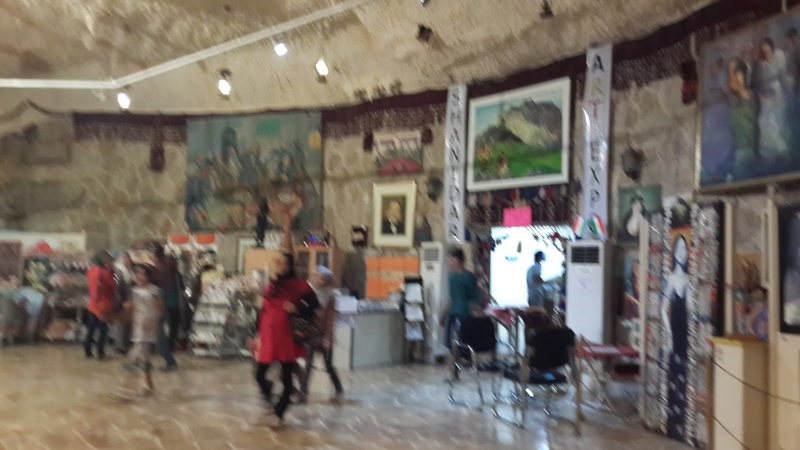 if you are a traveling you might want to pass by since they do sell some handmade souvenirs as well (postcards just under 50 cents, key rings around $3). Let me show off a little bit. My good friend A. R. has an amazing piece there, if you are interested to have a look or even better purchase it. It highlights a strong story of the struggle of women. Make sure you take the stairs outside, by the waterfall, and climb the top of the cave, where is a nice view and a seating area too. A rather calm atmosphere! 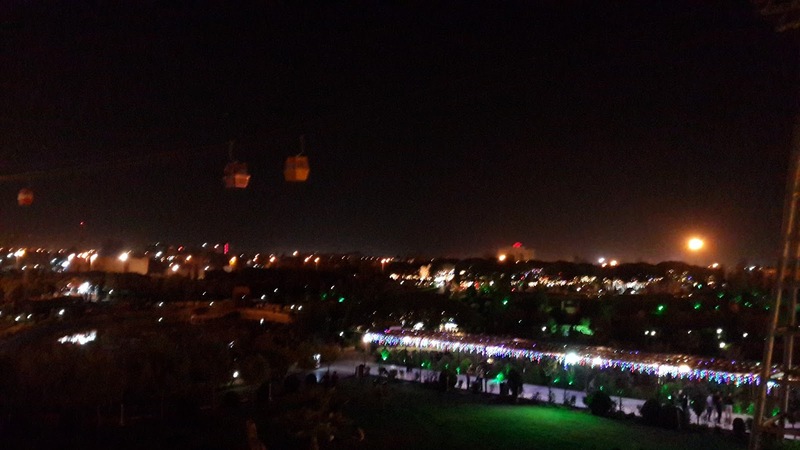 I am not sure if you can see it or not, in the picture below you can see the little cable cars (or teleferique) it costs around $3 per person for about a 10-15 minute ride (can’t remember) it takes you from the Shanadar Park to the Minaret Park! Try it. 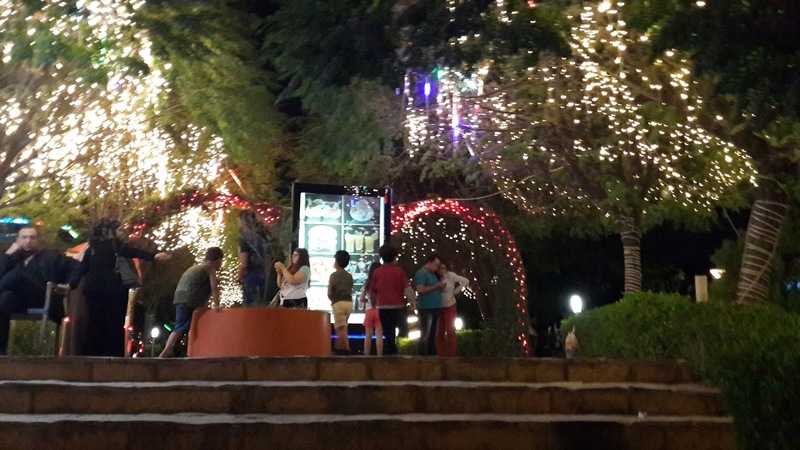 The down side: In places like this I wouldn’t normally frown, but there seem to be groups of guys walking around — who have nothing to do — so it is best if you’re a girl to go with someone for your own comfort. 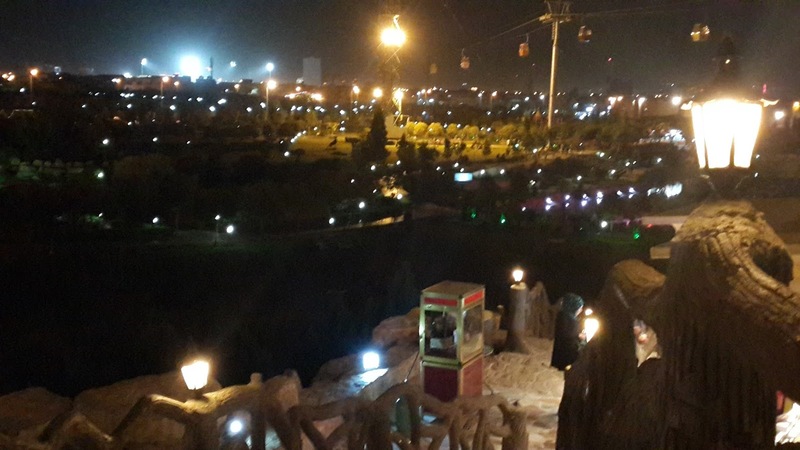 So go to Shanadar Park, enjoy your time and let me know what you think of it. Sometimes in a small city that is just growing and developing we have no choice but to find amusement in the simplest of things! * Kurdish word for chicken. ^ I progressed from a BlackBerry to a Samsung S4 (I think I got that right) thanks to S.K. 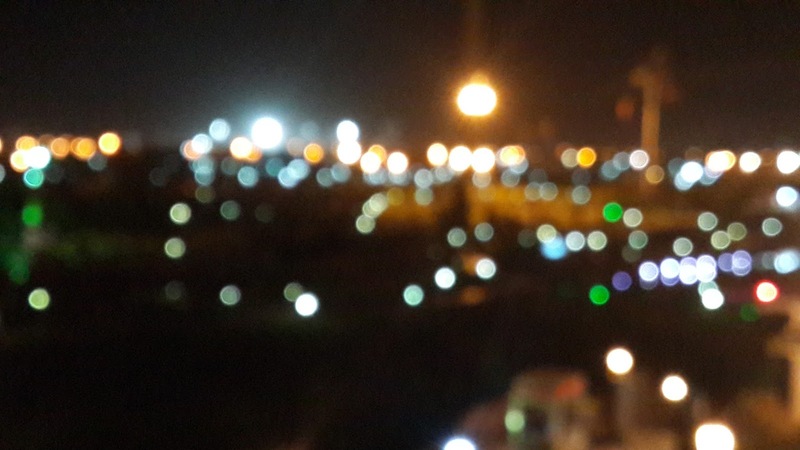 so I would like to think my pictures are a better quality. Lazy blogger who needs to learn to use a professional camera soon.